A classic look that never goes out of style, a beautiful little bow ring for your timeless little girl. Like the old saying, When you need to remember something, tie a string around your finger and you'll never forget. 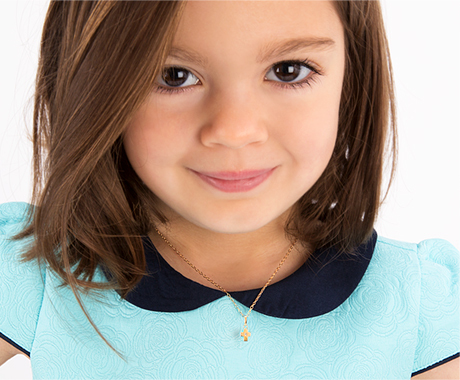 Your little girl will never forget just what she means to you with this sparkling little ring. This genuine sterling silver high polished children's ring features a beatiful bow tied next to a brilliant Diamonlux™ CZ, a designer favorite that will soon be hers too!.